April showers bring May flowers, and they also bring boss and mildew on your nice wood fence. Moss, mildew, and other algaes love the spring conditions that leave your fence damp, making it a great place for them to grow. Fortunately, it’s easy enough to clean these green intruders off of your wood fence. In this blog, we’ll talk about clean with a pressure washer, and without a pressure washer. Pressure washers are great for making quick work of moss, but you want to be careful. 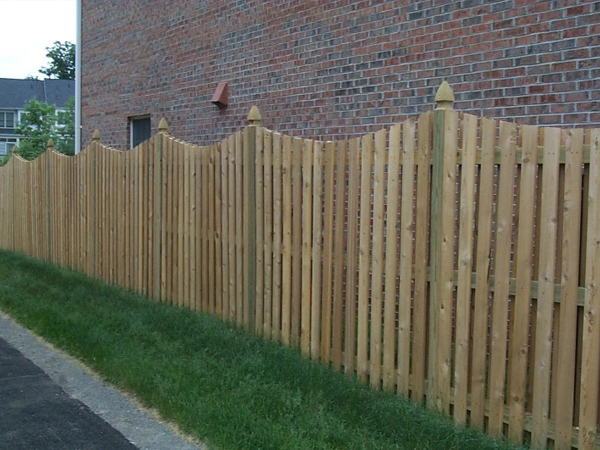 Using too much pressure could damage your wood fence. Set the pressure on the washer on a low setting such as 1500 to 2000 psi, and make sure to tie back and cover up any shrubbery you have next to the fence. Move the pressure washer in a deliberate pattern, being careful not to keep it on one spot for too long. Stand about two feet away from the fence. If the pressure washer fails to remove some of the moss or mildew, move on to the next step. First, cover any plants with plastic bags or buckets, because this cleaning process involves bleach. Make sure to wear gloves so you don’t get any bleach on your hands. In a bucket, mix warm water, bleach, and a mild soap that is safe to mix with bleach, using a ratio of 2 parts water to one part bleach, and a teaspoon of soap for every gallon of water. Use a scrubbing brush to scrub this solution onto the fence and remove the moss or mildew. 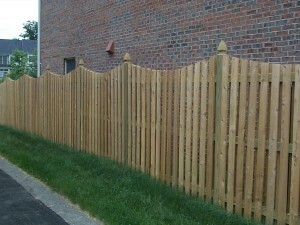 Let the fence dry, and then apply an anti-algae finish to prevent it from returning. This entry was posted on Thursday, May 15th, 2014 at 6:53 pm. Both comments and pings are currently closed.